Greetings guys! Saturday a.k.a. the best of the week just became even better... because I don't have to work for the next few days. I know it seems like I have a lot of time off but I'm just using up some vacation time. The next two months are quite stressful. Let's not talk about it actually, don't want to start my anxiety up haha. I will say this though, I might need to slow down next month on posts and nail art in general. I'm not certain yet. It really depends on how things end up going for me. I will definitely keep you guys informed though. For today, I have something interesting to show you guys, it's called the Sally Hansen Fringe Kit. I've been a little bit on the fence about this product so it's taken me a while to get this post together. I'm going to let the pictures do the talking. 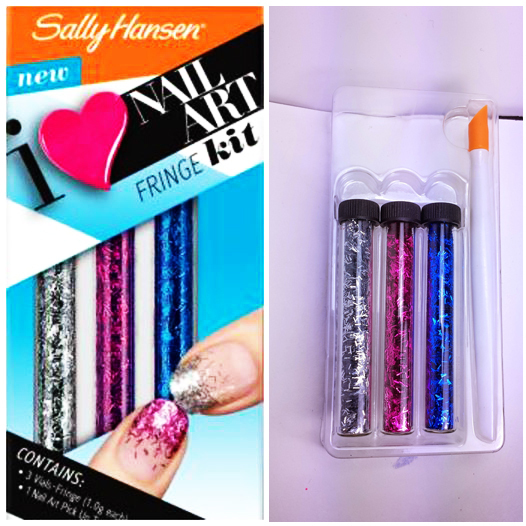 The Fringe Kit by Sally Hansen is part of their I Heart Nail Art line and was released a few months ago. 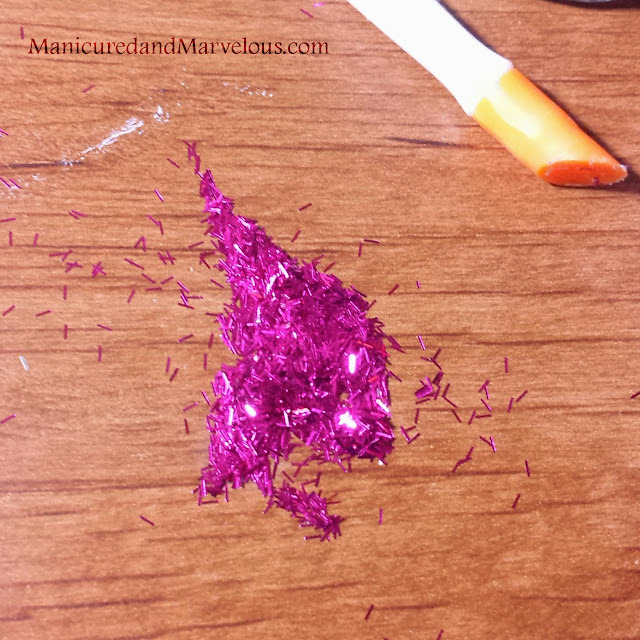 Included in this set, as you can above, is three tubes of shredded metallic glitters and a cuticle pusher. There is no variation in colors so each pack includes the same ones: silver, pink, and blue. As you can see, this can get extremely messy really quick. I definitely suggest you guys lay out some paper towels on your desk and work over that before you start. These glitters stick very easily to everything so it's important that you work slowly and steadily. I made quite a mess after I was done and I don't want you guys going through the same cleanup headache I did. I ended up using the jelly polish from Sally Hansen's Triple Shine line called Jell-Ous for the base and decided to do glitter gradients. 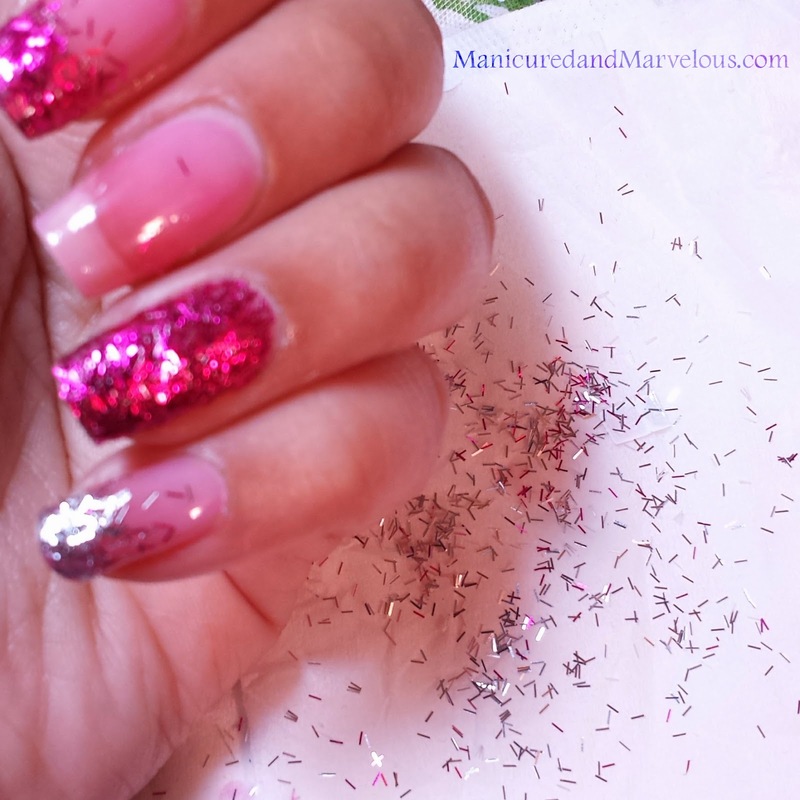 The accent nail, as you can see, I wanted to try a full coverage look with the 'fringe' glitters. 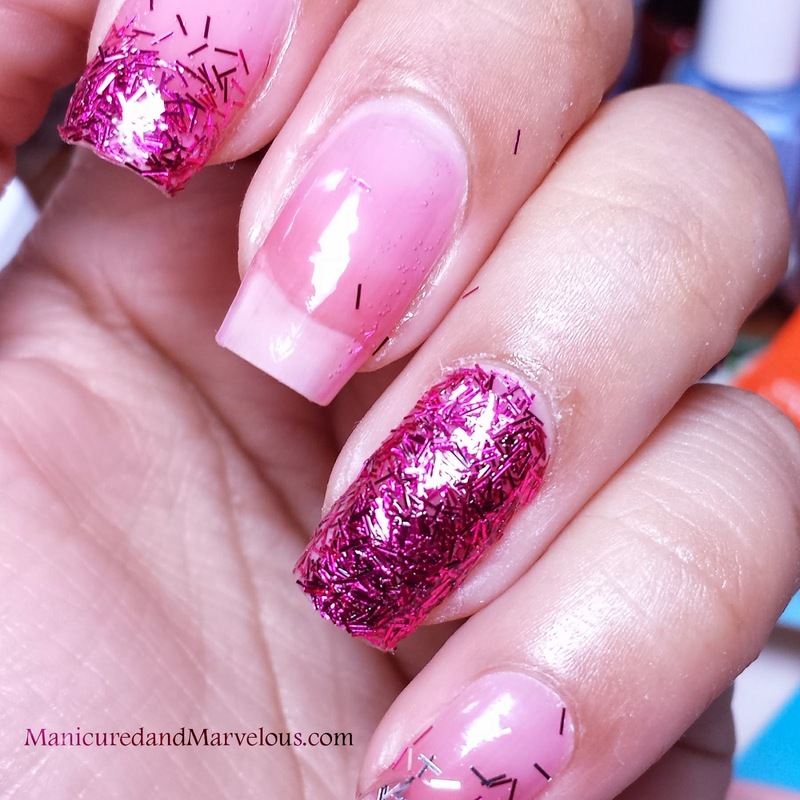 A topcoat is not optional with this much glitter usage. One of my go-to topcoats is the one from the Triple Shine line by Sally Hansen as it has a fairly quick dry time and nice glossy finish. Though be cautious not to overly apply because it can create bubbles while it's drying. It's happened to me on more than one occasion. It's also a fair warning that this will be a pain to remove unless you use a peel off base coat like I did for this mani. Again, here's my finished look. I'm not sure whether I love it or hate it. It's definitely a fun and different look but not my style. I think if perhaps I had only done one accent nail with the glitters I would of ended up more satisfied. In the future, I'm going to be giving this another chance and seeing if I can create something a little more me. For as much glitter as I used in this mani I still have plenty left over. You could probably get a dozen or so manis out of each tube if you're not klutzy and spill them like I did. I'm terrible at trying to be careful haha. You guys can find the Fringe Kit by Sally Hansen in stores like Walmart, CVS, Target, or Walgreens retailing at around $6.99 each. The I Heart Nail Art collection has a few different kits, I believe this to be just one of five different ones available. I agree, definitely a fun mani, but not very functional!